The franchise formula Symphony Gezondheidscentra is just about to open its first healthcenter in Stadium De Galgenwaard (home of FC Utrecht). 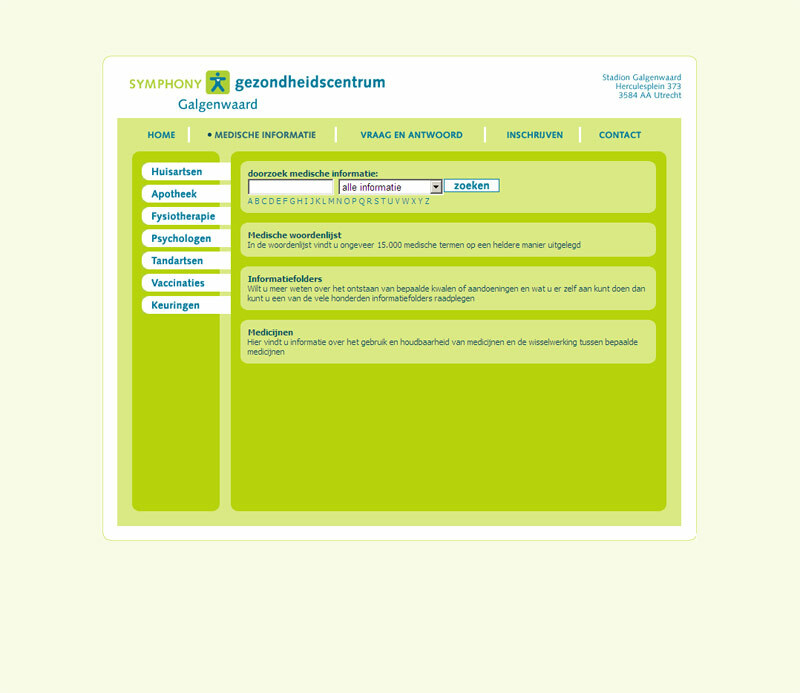 The center required a site of its own, featuring – besides all standard information – a large medical information database and a subscription option. 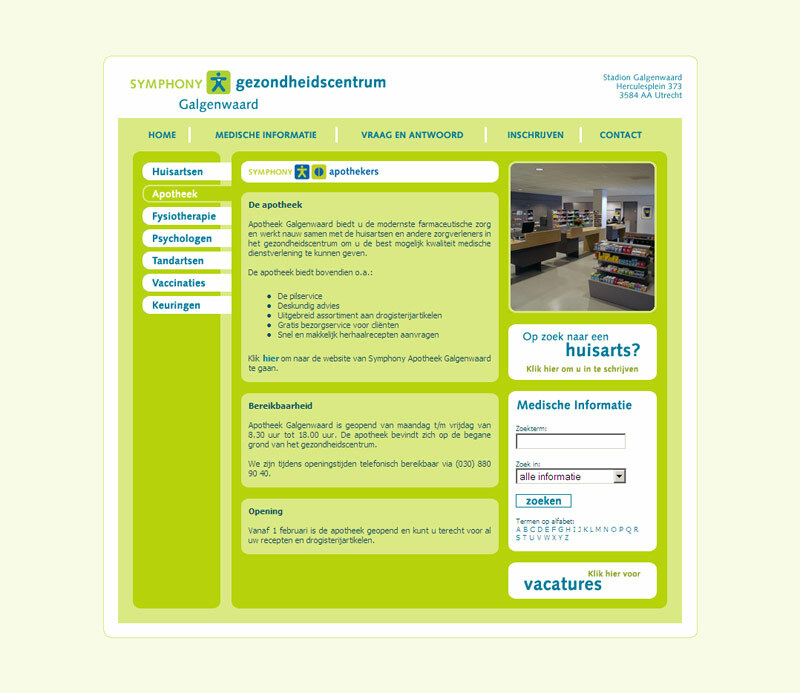 I designed the new layout, based on the original Symphony Gezondheidscentra website, integrated the search and subscription functionality together with a php programmer and I shot the pictures inside the healthcenter, which feature on the site. 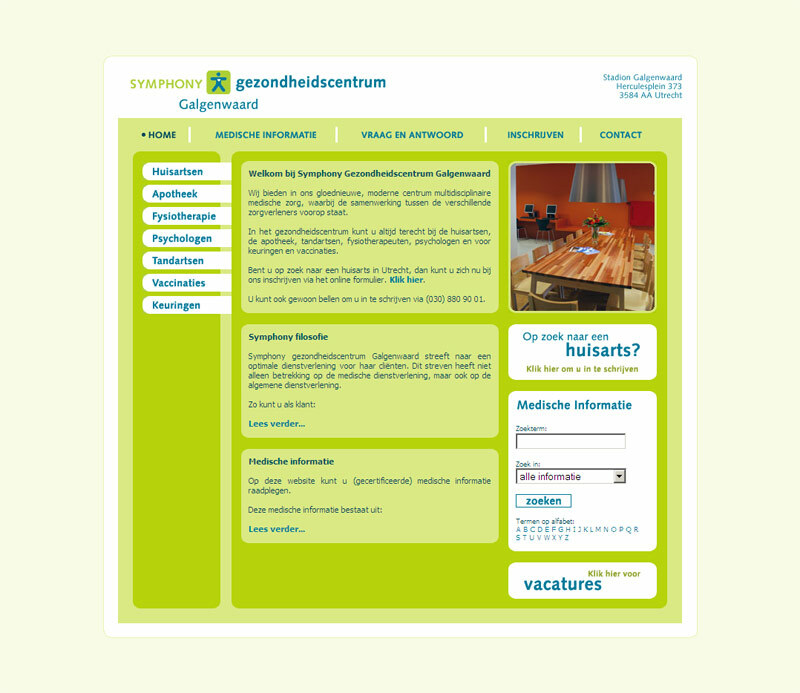 Here are some screenshots, visit the site here.